DESCRIPTION: Used with Roofing Screws and 1/4" Anchors. For Rigid Board as well as insulation board. 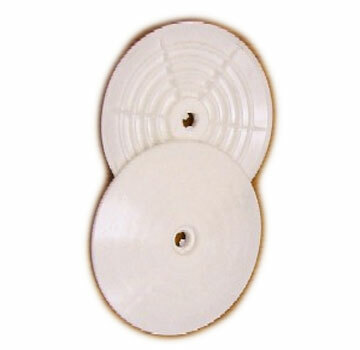 Plates are Factory Mutual approved for attachment of insulation board to roof deck. Refer to Technical Bulletin 701 or FM Approval Guide and Supplements for current FM approved insulation fastening patterns. · #14 Roofing Screws, "
· #15 Roofing Screws, "
1/4 X 1-1/2 INCH SPIKE, STRUCTURAL CONCRETE ROOFING ANCHOR, BLACK-E COATED HARDENED STEEL, MUSHROOM HEAD. 500/BOX. PRICE/BOX. 1/4 inch X 1 inch LONG ZAMAC HAMMER NAILIN ANCHOR, ZINC PLATED STEEL PIN WITH MUSHROOM HEAD, ZAMAC BODY. 500/BOX. PRICE/BOX.